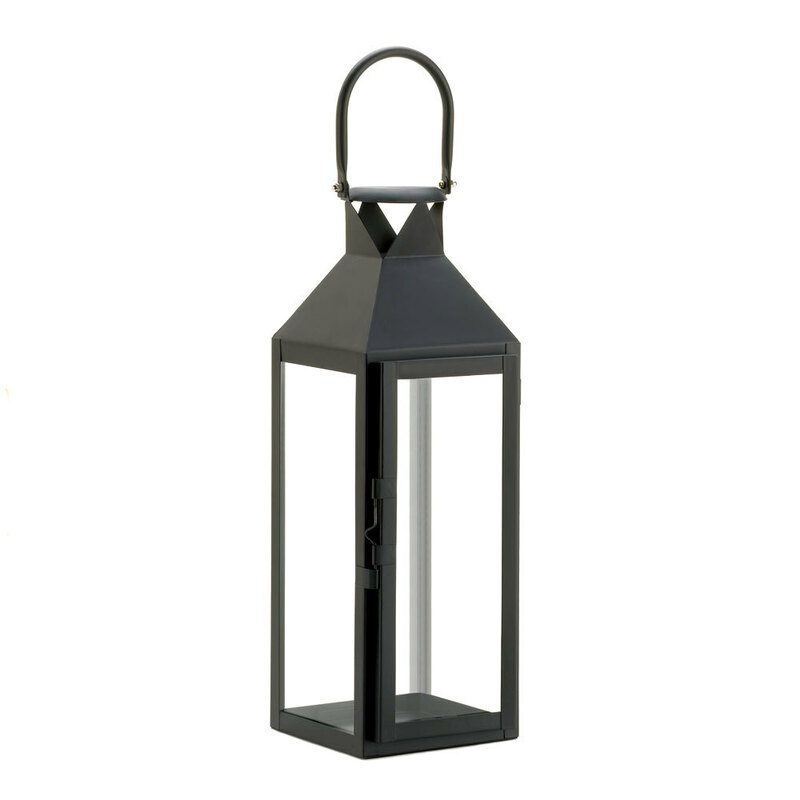 Sleek and sophisticated, the Black Manhattan Candle Lantern lets candlelight shine bright. Four clear glass panels are set in a timeless yet contemporary black metal frame with a hinged door. 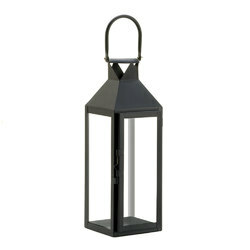 Place the candle of your choice inside and set this beauty on its base or display hanging from the top loop. Enjoy indoors or out. Item weight: 3.1 lbs. 5½" x 5" x 15" high. Iron and glass. Candle not included. UPC: 849179014964.